SLINGERLANDS — A 91-year-old man was airlifted to Westchester Medical Center with severe burns over the upper half of his body after his home on Font Grove Road was destroyed by fire on Friday, Dec. 29. Sheriff Craig Apple said his office got a 911 call of a fully involved structure fire at around 12:28 p.m. from a passerby. The occupant, Nazzerine Donato, and his dog were outside the home and also both on fire, the sheriff said. Neighbors and his deputies, who were there within minutes, extinguished the two, he said. Donato was able to communicate briefly with deputies before being airlifted to the burn unit. The dog was taken to the Delmar Animal Hospital. It was euthanized. 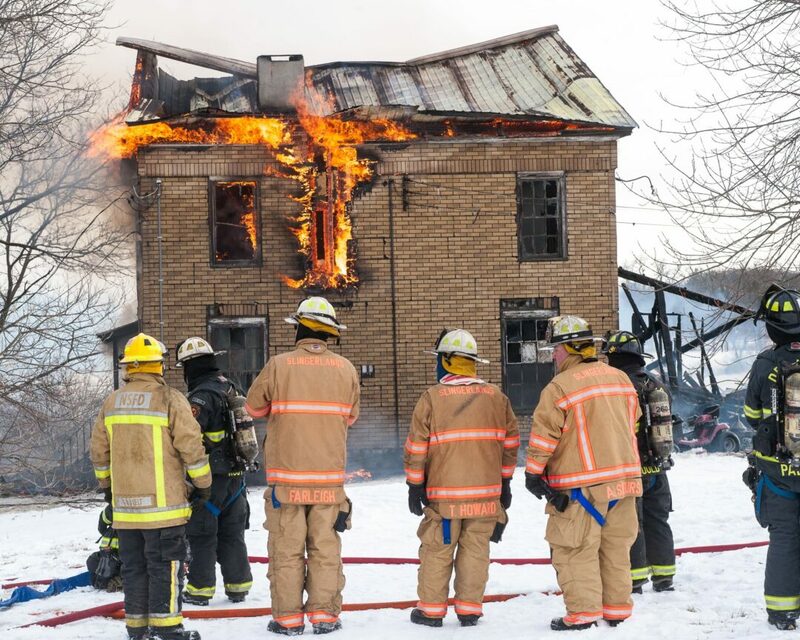 The sheriff used the blaze to warn residents about the dangers of old and/or unconventional heating equipment and urged those who are capable to check up on their neighbors. Donato’s home was old, and was wrapped in petroleum-based asphalt shingles so it was a “tinder box.” There was little firefighters could do and the home is a complete loss. Firefighters had to battle not only the frigid temperatures, but also were forced to drive tankers back and forth from the nearest fire plug about a half mile away. A number of fire departments responded including Slingerlands, New Scotland, Delmar, New Salem and North Bethlehem.